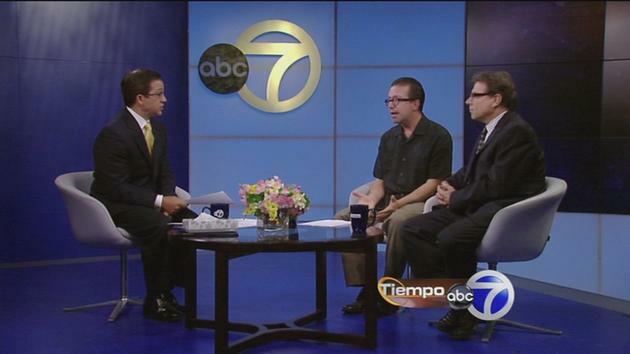 On July 5, 2015, ABC TV devoted a special segment to discussing the economic crisis in Puerto Rico. On TIEMPO with Joe Torres, the subjects included the need for a shipping industry in Puerto Rico, and the true causes of its $73 billion public debt. David Galarza, a veteran community activist and union organizer for CSEA, laid out the major themes. Nelson Denis provided additional information on the Puerto Rico fiscal crisis, and the effect of the Jones Act on the insular economy. The show’s host, Joe Torres, was a consummate professional: well-informed and thought-provoking, his questions cut to the core issues confronting the entire island. As the interview made clear, Puerto Rico must develop its own engines of economic growth. An island shipping industry would be a logical place to start. If the Jones Act were reformed (Section 27 of the Merchant Marine Act of 1920), Puerto Rico could receive products from all over the planet – without restrictive quotas. Without paying fees and taxes that often double the price of the product. Puerto Rico is an island. It needs to import enormous quantitites of goods, every day…but the Jones Act prohibits Puerto Rico from setting the prices on its own consumer products, and from building its own shipping industry. If the Jones Act were reformed or repealed, consumer prices would drop all over the island. Over 50,000 jobs would be created. This means a great deal to an island with 12 percent “official” unemployment, and 25 percent de facto unemployment. We thank ABC TV, Joe Torres, and the producers of TIEMPO, for the opportunity to discuss these crucial issues on their show. Thanks also to David Galarza, who presented the issues clearly and convincingly. It was a proud moment…to see that we have some real leaders here in New York, with a sharp mind and a strong heart, who care about their country. It seems that not many people are well informed ,the island could do away with our problems by choosing from being a sovereign nation or strive to be a state. There are many of our fellow citizens that live in the commodity of the greatest nation on earth and still support ideas that are against the well being of the great majority of the puerto Rican. All of this for the green bills that allows them to live in a comfortable live in the main land. Call the problem by its name,we are a colony,put your efforts to educate the people out there that Congress is the boss calling the game of which we are all part of. The Jones Act was enacted in 1920! It’s time to do away with it …. update to the current times! lots of products made here on the island are shipped to the US then are sold back to PR at a redicules price.Thanks to all the screwed up governments that we have.I decided not to vote who ever gets in office no matter what party they just corrupt everything up.